Available in gold and silver. 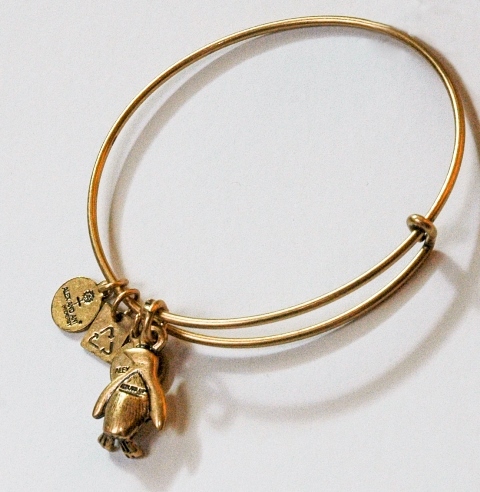 Alex and Ani will donate 20% of the purchase price from each Penguin Charm Bangle sold through December 2015, to the Association of Zoos and Aquariums, whose mission through Saving Animals From Extinction (SAFE) is to save the most vulnerable wildlife species from extinction and protect them for future generations. An additional 10% of each purchase through the Saint Louis Zoo will go directly toward the Zoo’s WildCare Institute.